Yo Gabba Gabba is literally popping up everywhere cool these days. 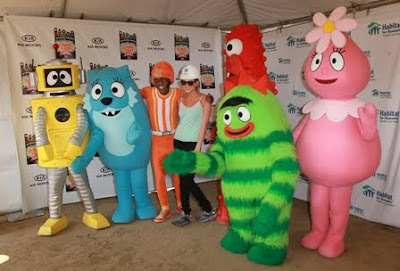 Have you seen this footage from MGMTs show featuring the Yo Gabba Gabba characters during their song 'Kids?' (Watch for them at around 3:05!!) Man, it would have been amazing to be there! Here's the gang with Stephanie Pratt (from the Hills) at Habitat for Humanity. Also, I had to share some of the latest merch that's available this fall. I'm always stoked to see what's new. If you were out looking for the elusive Yo Gabba Gabba backpack (like we were) this season, you might be able to score this one at Barnes and Noble. It's a toddler-sized one (a bit smaller than normal) which was perfect for us. 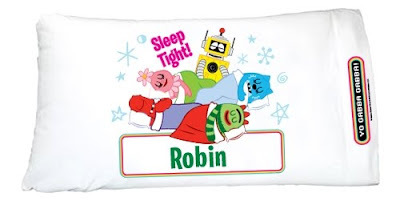 These pillowcases from Ty's Toy Box would look amazing in any kid's room. YES! I love this post. I love it a lot! We think YGG is AWESOME! Wish they would show the new episodes :( I'll definitely be picking up the pumpkin carving kit, too. And I need to start working on the Plex Halloween costume my 2 1/2 yr old son has requested! our household digs YGG too! 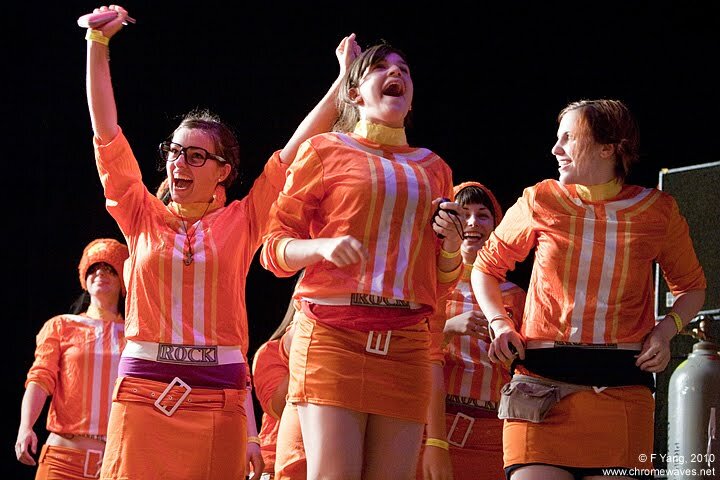 we are heading to their concert later this fall. 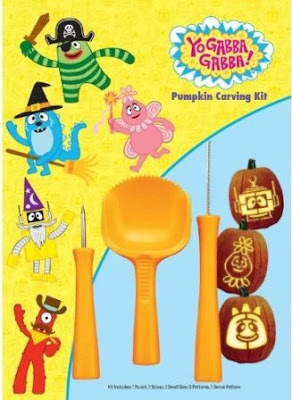 how cool is that pumpkin carving kit...all over that. tfs! How come I missed so many blogposts of you and I've only been away for a few days?! WOW, you're a busy bee and blogger girl!!! 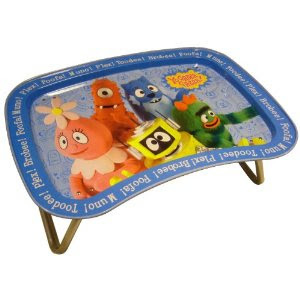 I don't know "Yo Gabba Gabba" (well, I know that yell but not the puppets-cartoon-what-is-it?) Guess they didn't arrive in Holland yet... Have a great weekend girl!